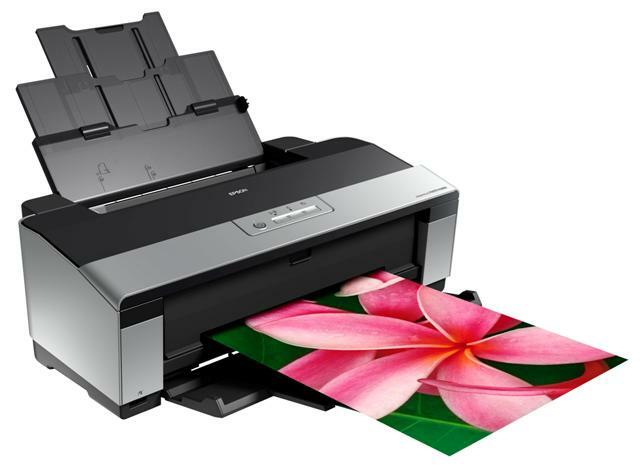 The Epson Stylus Photo R2880 is a wide-format photo printer designed to produce high-resolution photos. While it's not well-suited to other applications, such as regular printing, for users who often need to produce large-scale, photo-quality prints, it may be a fine choice despite its high entry and upkeep costs. The Stylus Photo R2880 measures 24.3" by 12.7" by 8.4" when in storage and, with all trays and doors extended (needed in order to print any documents at all), 24.3" by 31.4" by 16.3", potentially too large to fit alongside other consumer equipment but lightweight enough that moving the printer will not be an issue. The Photo R2880 prints at a maximum resolution of 5760 dpi by 1440 dpi, consistent with other high-end consumer inkjet printers. It has a minimum ink droplet size of 3 picoliters and can produce photos at speeds of 1 minute, 36 seconds (in SuperFine mode) or 2 minutes, 18 seconds (in Photo mode) for 8" by 10" images and 2 minutes, 36 seconds for 11" by 14" (SuperFine) and 3 minutes, 55 seconds (Photo). The Photo R2880 prints to paper sizes 4" by 6", 5" by 7", 8" by 10", A4, letter, legal, 11" by 14", 12" by 12", B, A3, and Super B, as well as 8.3" and 13" wide panoramic rolls. Without borders, it can print to all of the above sizes except for legal and some user defined sizes. The R2880 also stands out for its ability to print to material up to 1.3 mm thick when fed straight through manually, not offered by lower-end Stylus Photo models. The Photo R2880 has an auto sheet feeder capable of holding 120 sheets of plain paper and 30 sheets of photo paper. Manually, it can accept 1 sheet of fine art paper, 1 sheet of poster board, as well as direct printing to CD and DVD media. The Photo R2880 features 2 USB 2.0 ports and one PictBridge port, which will allow you to connect the digital camera directly to a printer, reducing the tedium associated with connecting the camera to the printer, sending the job to the printer from the PC, and then producing an image. Furthermore, a USB cable is not included. The printer includes no options for expandability, nor does it include any means for either wired or wireless networking. To network the printer you will either need to share it via a third-party printer sharing device or by sharing the printer from a computer on your network, which will then require that the system be on whenever it's needed to produce prints. Other Epson models -- and models less expensive than this one -- offer both wired and wireless networking, potentially making this one less attractive. The R2880 has an automatic feed for a total of 120 pages of plain paper or 30 pages of photo paper. This will likely be fine for individual use, but it disqualifies the printer for heavy use or for production of large documents (as does the printer's heavy ink consumption). 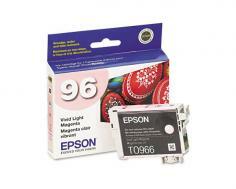 As with many Epson products, many users complain about the costs and frustrations associated with ink replacement. The R2880 regularly receives complaints concerning its ink recognition system, its refusal to function if it reports a cartridge as empty, its need to "charge" ink cartridges, draining all cartridges 7-10% upon one's replacement, and that printing high-resolution photos drains ink much faster than the rated yields associated with the printer's ink cartridges. Review it: "Epson Stylus Photo R2880 "
The Photo R2880 has eight ink cartridges, all of which consume ink at different rates. The matte black cartridge requires replacement at approximately 520 pages, the color cartridges -- cyan, magenta, yellow, red and orange -- produce approximately 915 pages, the photo black cartridge produces about 5630 pages, and the gloss optimizer ink cartridge is rated to produce about 3615 pages. The photo and matte black ink cartridges also have to be swapped manually when alternating between standard and photo prints, requiring additional maintenance and potential for ink loss (see Cons above).